Happy Birthday to Cex India. Yes, we are celebrating our first year in India! first CeX in Pune, 2011. What a year it's been. Forgive us as we get misty eyed like the parents of a newborn as we recount our adventure to date. 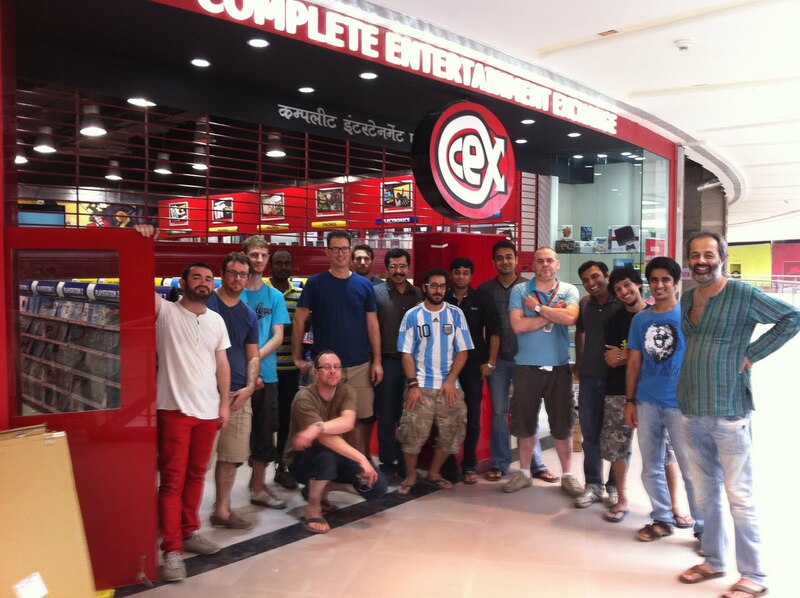 We opened the first CeX in India this week last year on the top floor of the Phoenix Market City, Pune when most of the other shop units were still empty shells. Our first Custies were the plucky, adventurous type who were curious enough to see what was beyond the food court. Thankfully, we're not lonely anymore as we've been joined by other shops on our floor and a multiplex cinema too. We followed Pune quickly by opening in Vashi with two floors of fun, then Bangalore and later in 2011 in Bombay's Kurla Mall. 2012 has seen CeX india grow again with opening CeX shops with Lucknow, Kanpur and Bareilly with many more to come. But honestly, folks, it's been a blast. We've got the greatest job in the world and we'd like to thank each and every one of our custies for making it possible for us to spend all day surrounded by the stuff we love. Cheers, all. And hold on tight - we've plenty of neat-o ideas for the future and hope you enjoy the ride.